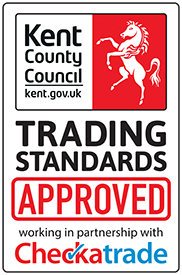 Maple Leaf Kitchens and Bathrooms are based in Maidstone and offer fitted kitchens and bathrooms and associated building works in and around Kent and we are Kent trading standards approved. We are a small friendly business with over 20 years experience in fitting kitchens, bathrooms and general building work. All electrical and gas work is carried out by registered engineers and certificates issued upon completion of works. We offer the complete service, project management, design, supply, installation of fitted kitchens and bathrooms. 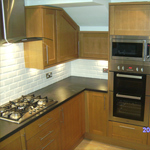 We are happy to fit kitchens, bathrooms and other products you have brought yourselves. 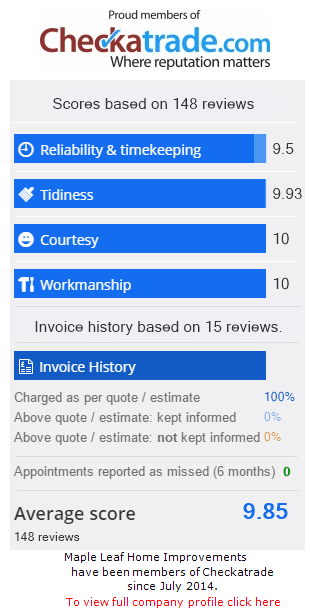 We are happy to undertake general building works, internal external doors and joinery, solid wood and laminate flooring, natural stone, porcelain, ceramic wall and floor tiling, plastering, painting and decorating in Maidstone, Ashford, Sittingbourne, Gravesend, Medway towns and throughout Kent.